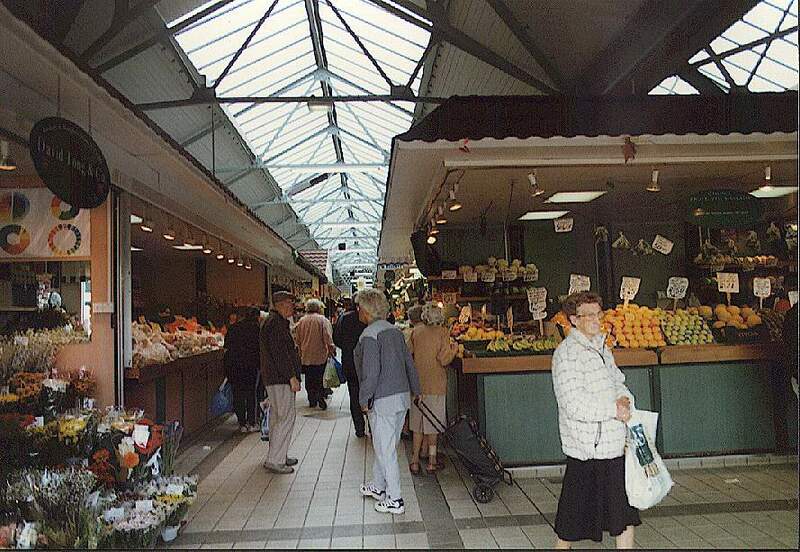 This market hall has been refurbished. 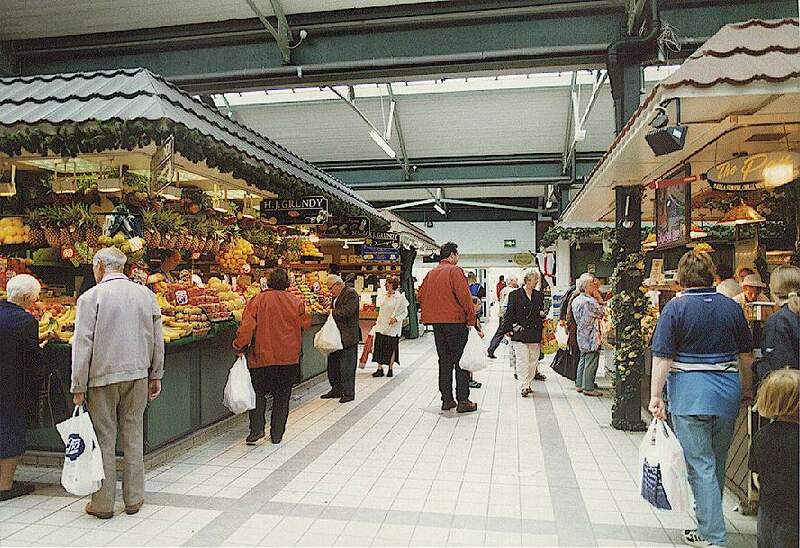 It houses a fish and poultry market, fruit and vegetable, and a general market. The gateway from Moor Lane. 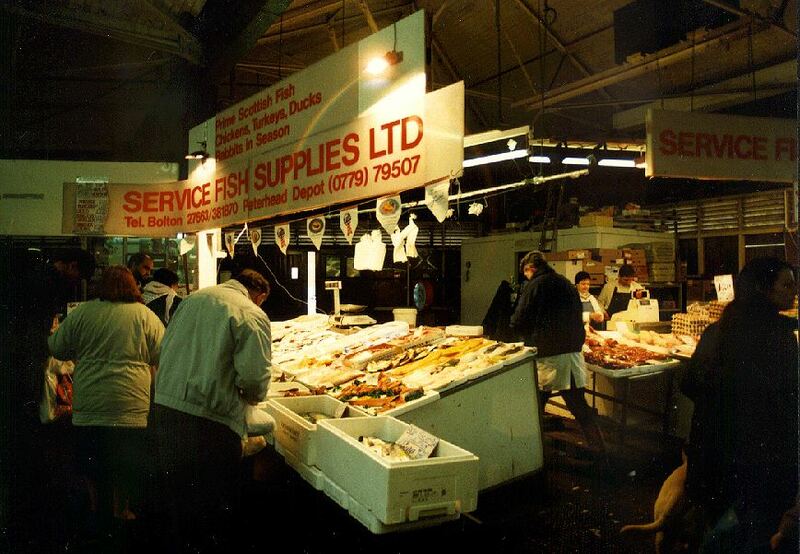 Fish and poultry stall. Some stalls just specialize in fish, others in poultry. 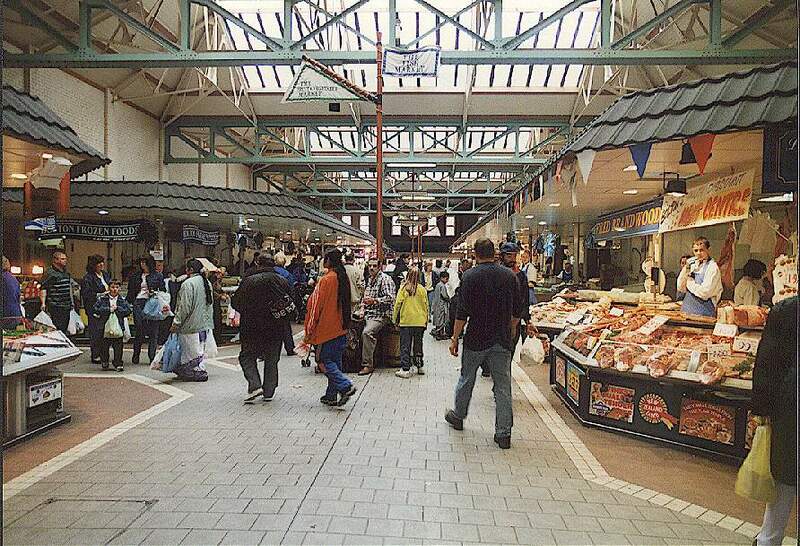 This picture was taken of the temporary fish market. 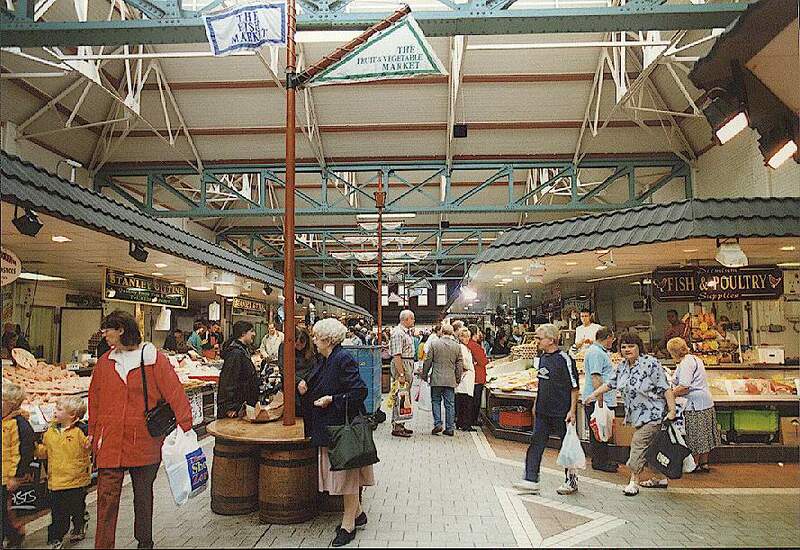 This is the refurbished fish market after it had only just opened. 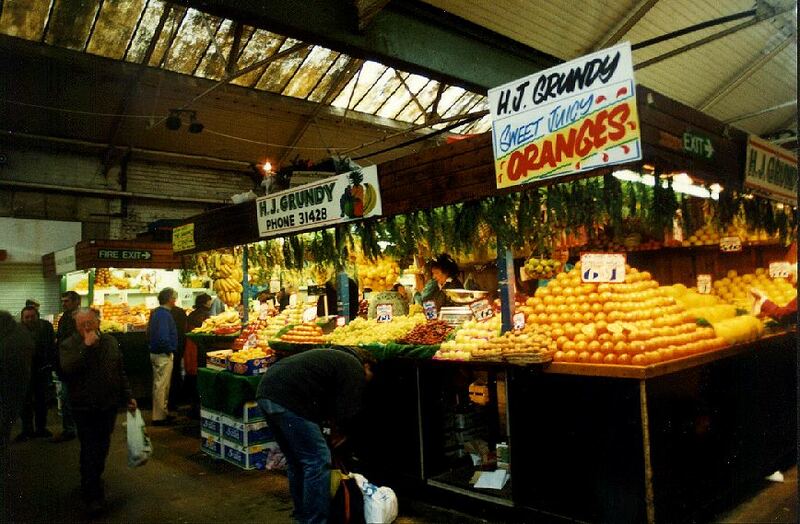 Fruit and vegetable stall, one of many inside this dedicated area of the market. This section is currently under refurbishment, once this is completed, updated pictures will be included on this page. 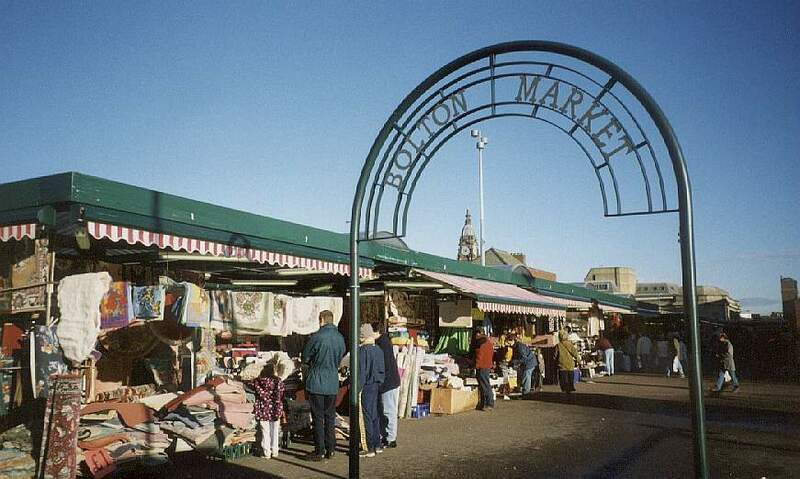 Stalls vary from clothing to hardware to jewellery to music to plants. 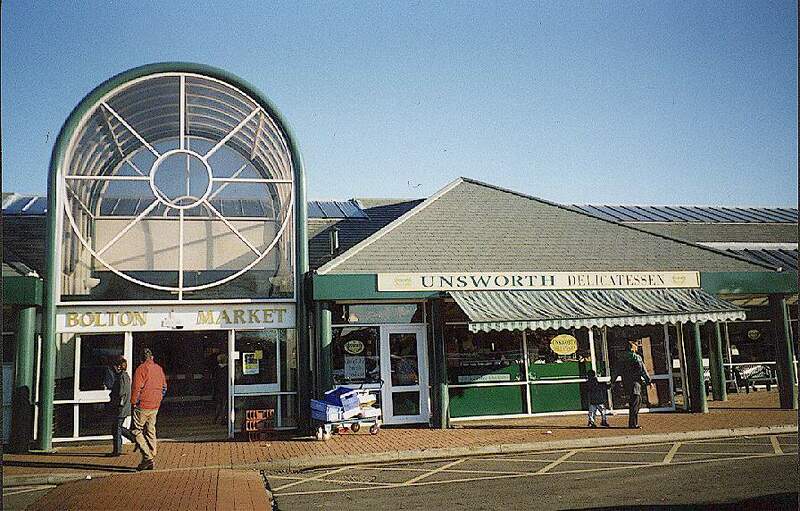 Refurbishment has been completed here, and now a number of shops also line the sides of the hall on Ashburner Street. This is a view from the entrance into the refurbished section. 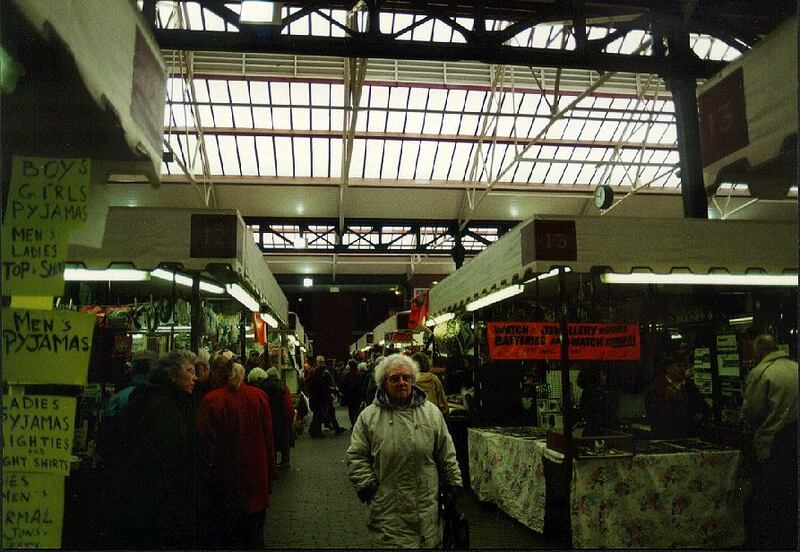 This view is in the middle of the market. 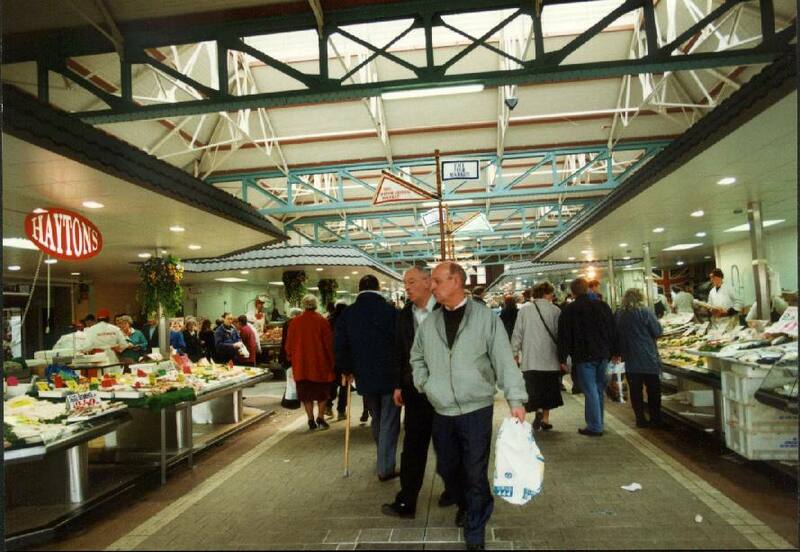 These are the fish, meat and poultry market stalls. This view is in the central part of the fish market. 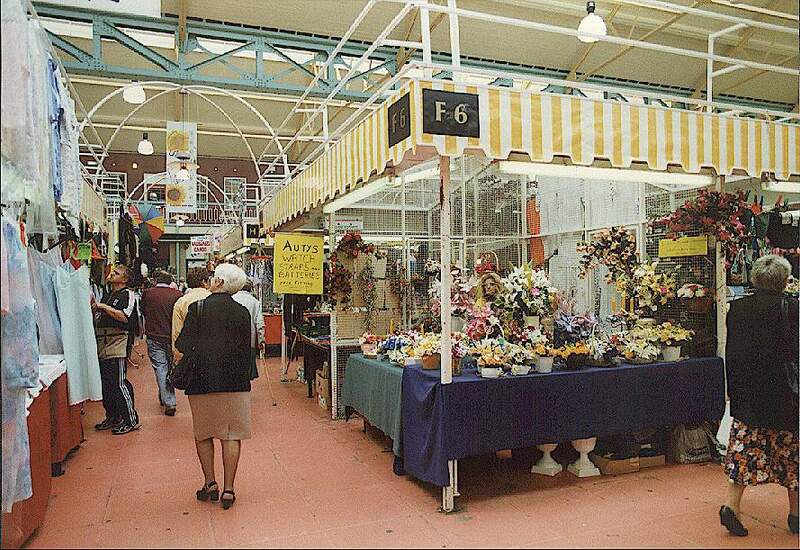 A stall in the market hall. Go out into Ashburner Street on the virtual walk. Go out onto Moor Lane on the virtual walk.